I recently wrote about HBO’s Barry, an intriguing but rather uneven hitman comedy-drama from Bill Hader (who also stars as the title character) and Alec Berg. In the review, I expressed misgivings about the show’s difficulties with reconciling its two contrasting halves. Not long after that piece went up, Hader and Berg confirmed my worst fears: what had begun as a dark, gleefully amoral comedy about a star-struck hitman moving to L.A. became an unpleasant and ultimately somewhat dour exploration of morality and self-deception. The show’s fortunes hinged on military veteran Barry’s decision to kill his former brother-in-arms, Chris (Chris Lucado), when he got involved in one of Barry’s missions and subsequently told him he felt compelled to go to the police. It’s an ugly moment, and it doesn’t help that director Alec Berg and writer Liz Sarnoff then make us watch Barry imagining the reactions of Chris’s widow and child to the news of his death. The anguish this fuels leads to his giving a brief but excellent performance onstage that helps boost his sometime girlfriend Sally (Sarah Goldberg) and gets her noticed by talent scouts. The show manages to mine humor from the juxtaposition of Barry’s bloody line of work and the frivolous self-absorption of his acting class, but here we’re abruptly being asked to take the contrast seriously, and it doesn’t work at all. Killing Chris also permanently renders Barry unsympathetic in a way that the show hadn’t previously done, so it feels like it comes out of nowhere, in terms of both the character and the kind of show that we’d been watching. Perhaps worst of all, the finale doubles down on this sudden seriousness, with Barry regretfully but decisively dispatching the sympathetic Detective Moss (Paula Newsome) when she figures out who he is and confronts him. The show’s been renewed for a second season, but my attention will be elsewhere. On the other hand, I’ll be waiting hopefully for a third season of Donald Glover’s brilliant Atlanta. The half-hour FX show’s future is uncertain, given the increasingly high profiles and busy schedules of its creator and stars, but it’s unlike anything else on TV right now, and I’d love to see at least a handful of new episodes at some point. Phil Dyess-Nugent did an excellent job of explaining the first season’s delights, and much of what he said holds true for the second one, as well. The show has followed Earn, played by Glover, as he attempts to manage the rising fortunes of his cousin Alfred (Brian Tyree Henry), a rapper known as Paper Boi. All of the main cast members get at least one episode to themselves this season, including Zazie Beetz as Van, Earn’s ex and the mother of his child, and Lakeith Stanfield, who plays the delightfully spacy Darius. This season’s most-praised entry is “Teddy Perkins,” an extra-long episode that features Donald Glover in whiteface, a brutal murder-suicide, and a haunted-house vibe that, given the presence of Stanfield and the thematic exploration of the effects of racism, can’t help but evoke Get Out. 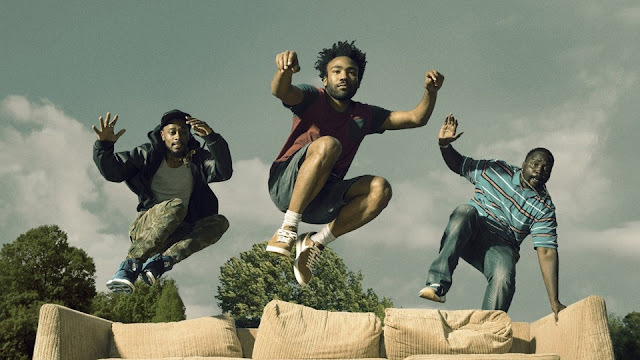 While I admired a lot about the episode, I’ll admit to being somewhat underwhelmed by its over-the-top style, as well as its attempt to explore Big Themes having to do with personal trauma and the origin of great art – part of what makes Atlanta so great is its tendency towards understatement. By contrast, the next episode but one, “Woods,” maintained much of the same horror-movie vibe throughout its latter half, but it felt more consequential because it focused on bringing the character arc of Alfred, the rapper whose rise provides the background for much of the show’s narrative progression, to a crucial point. It also showcased Brian Tyree Henry, who sometimes gets lost next to Glover’s star power and Stanfield’s weird energy. My personal favorite episode was “North of the Border,” which combined a number of the show’s signature elements: its surrealistic touches, its bizarre sense of humor, and, underneath it all, its quiet but firm dedication to exploring its characters’ lives and relationships. All of these tendencies, as well as a major narrative development that had been quietly reaching a boiling point throughout the season, come to a head in an alternately horrifying, hilarious, and poignant scene in a frat house full of white Southern good ol’ boys. Alfred, Earn, Darius, and Paper Boi’s self-appointed head of security, Tracy (Khris Davis), all end up there when, due to a series of bad management decisions by Earn, they’re forced to find refuge after they get in trouble following a college concert. Director Hiro Murai lets us see Al and Earn up against a Confederate battle flag as they chat with one of the frat boys and smoke his weed, then slowly pulls out to reveal two parallel lines of naked, hooded pledges, silently kneeling while this mundane conversation plays out. The frat guy then tries to impress Paper Boi by barking orders at them to stand up and perform a dance to “Laffy Taffy,” which they proceed to do in a robotic manner. It’s an image that’s striking, deeply disturbing, and funny all at once, and, as soon as it’s over and the pledges parade out of the room, the absurd indignity of having had to sit through the dance finally prompts Al to gently confront Earn and fire him as his manager. What follows is wrenching: throughout the series, we’ve mostly focused on and sympathized with Earn, who’s intelligent and sensitive but cursed with a lack of common sense and some especially bad luck. As Al explains his perfectly reasonable decision, we come to see Earn as virtually everyone around him does: a screw-up whose good intentions don’t outweigh the fact that his bad choices are dragging down his friends and family members. 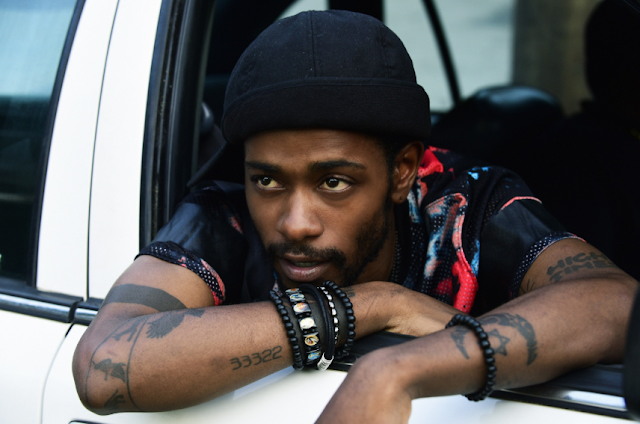 By the end of the episode, his frustration leads him to pick an especially ill-advised fight with Tracy, who’s been portrayed on the show as a faintly ridiculous hanger-on and a loose cannon; by the end of what becomes a brief and ugly beat-down, we realize that it’s really Earn who occupies that role in Paper Boi’s posse. Unlike the theatrics of “Teddy Perkins,” it’s a moment when the show shifts into a major key and packs a real emotional wallop. Speaking of emotional wallops, the final episode of FX’s The Americans featured more than a few of them. 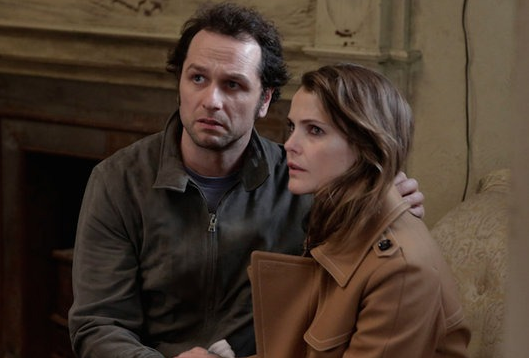 Two years ago, I wrote that the show's ruthless pruning of some of its extraneous characters and storylines had begun to focus its intensity, but there was still a sense of drift at times – there were only so many secret identities and missions that KGB spies Philip and Elizabeth Jennings (Matthew Rhys and Keri Russell) could adopt and carry out before you started to call the show’s overall direction into question. The awareness of this season’s finality did wonders for further raising the stakes and concentrating on the show’s most essential elements. 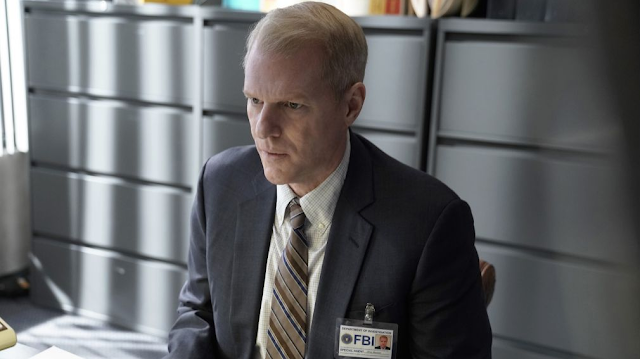 The Americans was always masterful at balancing a certain obliqueness with bone-crunching violence and intense situations that put its characters (and audience) through the emotional wringer; a new season would often deposit us into the middle of a new mission, with a new set of characters who got little or no introduction, and whose importance only became clear over the course of a few episodes. The confrontation between the Jenningses and their neighbor and friend across the street, FBI agent Stan Beeman (Noah Emmerich), seemed inevitable after the first season, but then the narrative intensity of that storyline petered out and showrunners Joe Weisberg and Joel Fields found other directions for the show and its characters. In that sense, the scène à faire that occurs in the middle of “Start,” the series finale, marks a return to some of the show’s original impulses. It does not, however, mark a return to some of the more predictable impulses of prestige cable drama, impulses which The Americans has, for the most part, successfully eschewed. In both the final showdown between Stan and his erstwhile friends and in the episode at large, Weisberg and Fields refrained from indulging in cheap shocks, killing off a slew of major (or, indeed, any) characters, or providing a neat and tidy ending. Instead, they gave us an emotionally devastating final episode that left all of the characters deeply scarred by their experiences and adrift in a sea of doubt and ambiguity. There were two especially well-crafted scenes: the confrontation between Stan and the Jenningses, and the moment when Philip and Elizabeth attempt to cross the Canadian border with their daughter, Paige. I had to force myself not to look away from the former scene, constantly expecting that the last we’d see of Noah Emmerich’s amazing performance would be his character getting dispatched by his Russian adversaries. Instead, Philip talks him down, and you can see the resolve slowly melting away in Emmerich’s voice and posture as he does so, while at the same time you can’t help but register how Russell’s reacting, with surprise and just a hint of dismay, to Philip’s honesty towards his former friend. The kicker comes when Philip, about to hop into a stolen car after having convinced Stan not to shoot any of them, feels compelled to share with Stan the suspicion that he and Elizabeth have harbored for years: that Stan’s new wife, Renee (Laurie Holden), just might be KGB herself. As for the border crossing scene, it was noteworthy for the narrative surprise that emerged at the end, but also for how, like Atlanta, The Americans can use its generally understated tone as the foundation for truly affecting – and shocking – moments. Philip and Elizabeth manage to stay calm as Border Patrol agents check their (fake) identities and wave them through, only to see Paige standing on the platform as the train begins heading northward. Rhys and Russell’s faces register utter heartbreak as they realize that they likely won’t ever see their daughter again. The final shot of the series features them standing on an overlook, gazing uneasily over the lights of Moscow, no longer sure of who they are or what they stand for. The sort of emotional resonance that such moments can possess makes finales especially appealing. Our awareness that something – be it a season or a series – is coming to an end gives us a sense of closure that’s often lacking from our personal lives, which continue to unspool one largely undistinguished day after another. Whether it’s saying goodbye to a series that’s lost our attention, or to one that’s ending on its own terms, and in satisfying fashion, it’s nice to have built-in stopping points that force one to pause and reflect.